This history has been researched and written by interested parishioners. We would be delighted to hear from others who wish to contribute to the debate. Any and all contributions are welcome ! 1874-2014 St Michael & All Angels ,Dafen: St Mihangel A’r Holl Angylion Dafen Up until 1854, religious services were conducted by visiting clergy and lay readers; then a fully licensed curate was appointed to reside in Dafen. 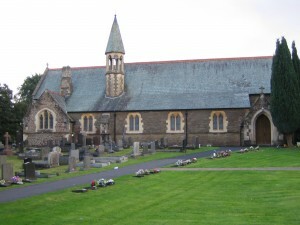 The building of the church began in 1870 on a plot of land given by C.W.M. Lewis, of Stradey Castle, and was consecrated in 1874. The church was built in the Gothic Revival style at a cost of £6000, borne by Messrs. Phillips and Nunes, the owners of the Tinworks at that time, and aided by a Church in England grant. 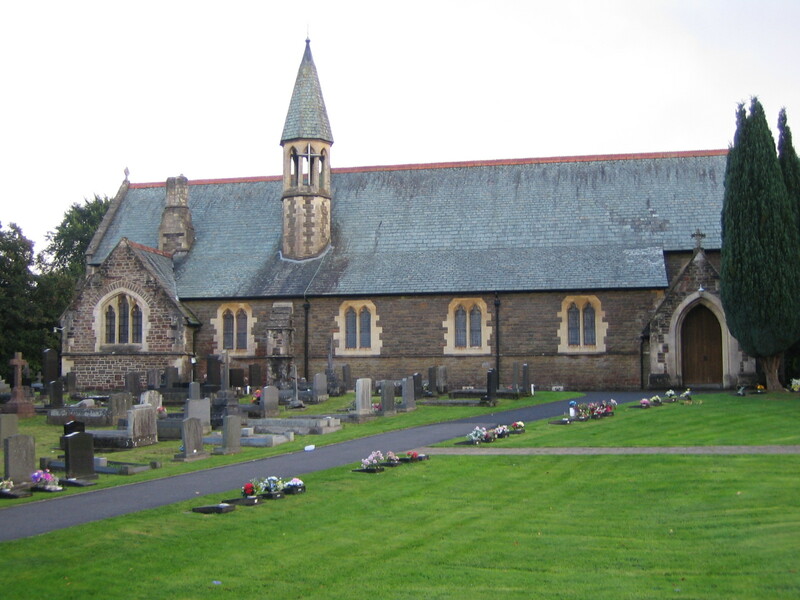 After 20 years of religious services at the Tinworks School Room, Dafen was formed into an ecclesiastical parish. The architect was George Edmund Street R.A. of London. He was a pupil of Sir Gilbert Scott and has been described as ‘one of the greatest architects of his day’. Street also designed the East and West Windows and the two south windows in the Nave of the Church. The foundation stone for the church was laid in 1872, by Mrs. Phillips, the wife of the Works proprietor. In September, 1885, the corner-stone for the vicarage was laid by Mrs. Britton the wife of the first vicar of Dafen. The architect was Mr. Arnold of Llanelli .